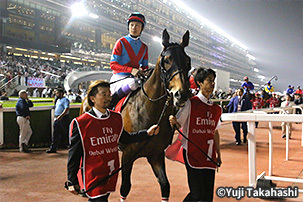 Despite a huge show of force, no wins were to be had for Japan at Meydan Racecourse on the international gala that is Dubai World Cup Day. 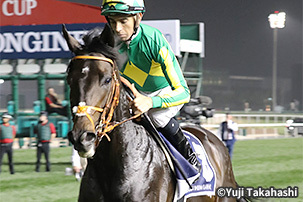 Four of Japan’s 14 total runners did make the top three spots, however, including a second by last year’s winner Vivlos in the Dubai Turf, and a Japanese dead heat for third in the same race between Deirdre and Real Steel. 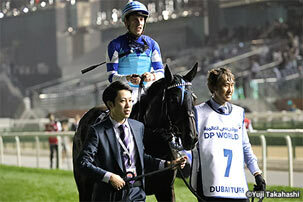 Adirato finished third in the G2 Godolphin Mile. 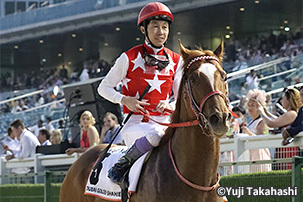 Japan’s hopeful in the Dubai World Cup, Awardee, was one place behind his 2017 finishing order in sixth. 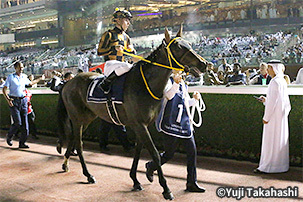 The entourage of 14 runners to Dubai this year was Japan’s biggest yet, since the country’s first and sole runner Lively Mount made the journey to the United Arab Emirates in 1996. Like last year, participants had berths in six of the eight Thoroughbred races scheduled on Saturday, March 31, two of them Grade 2 events, the rest top-level competitions. Japan had no runners in the G2 Gold Cup or the G1 Al Quoz Sprint. 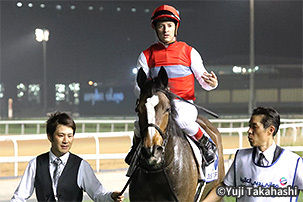 Unlike last year, however, when four horses took on the Dubai World Cup and only one entered the Dubai Turf, this year only one Japan-based horse competed in the day’s headliner and five tried their luck in the Dubai Turf, a race Japan has won four times before. Unfortunately, numbers did not translate to more appearances in the winner’s circle and Japanese horsemen failed for the first time in five years to take home at least one or even two first-place trophies in a Grade 1 event. 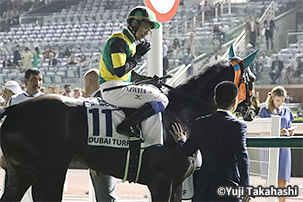 Taking on the Grade 2 UAE Derby for 3-year-olds this year were two runners from Japan, Taiki Ferveur by Furioso and the Kinshasha no Kiseki-sired Ruggero. Both horses had only notched wins at the lower levels, with Taiki Ferveur’s best a second in the open-class Hyacinth Stakes last out and Ruggero’s best a third in the same. Please visit the following websites for more information. © Japan Association for International Racing and Stud Book (JAIRS). All Rights Reserved.